Miryoku Bistro, the European-Japanese fusion restaurant has launched a brand-new menu that is specially curated by Italian Chef Vincenzo, with over 24 years of culinary experience, including at 5-star luxury hotel resorts. Diners can look forward to indulge in delectable, quality food and all the ingredients are carefully hand-picked by the chef. The menu items are at everyday affordable prices, starting from $1.30, and all . We are impressed with the beautiful DIY Ferris Wheel, this is one of the first in Singapore. Items from $1.30 per piece features the delightful canapes of your choice. You can choose the items like Foie Gras, Aburi Hotate with Truffle Paste, Shoyu Ikura, Salmon Mentai, Salmon Tobikko, Negitoro, Chirashi, Ebi Cocktail and Tamago, served on nori cups imported from Tokyo to be placed on the Ferris Wheel. For desserts lover, there is also a Dessert Ferris Wheel at $3.50 per piece, options include Tiramisu, Waffle Nutella, Oreo Panna Cotta and Crème Brulee. 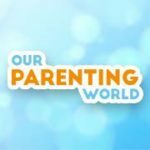 If you love digging into pizzas, try out Okonomiyaki Pizza and Teriyaki Pizza. 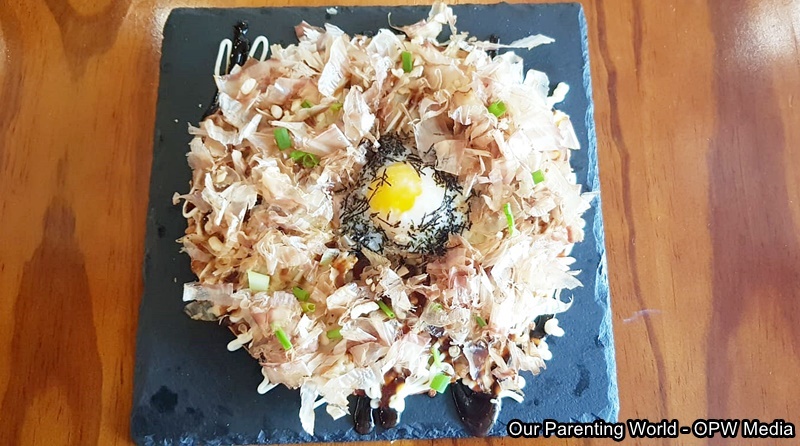 The unique Okonomiyaki Pizza combines European and Japanese cuisines, you can indulge in mouth-watering combination of the popular Osaka street food together with the Italian pizza topped with a golden runny egg! 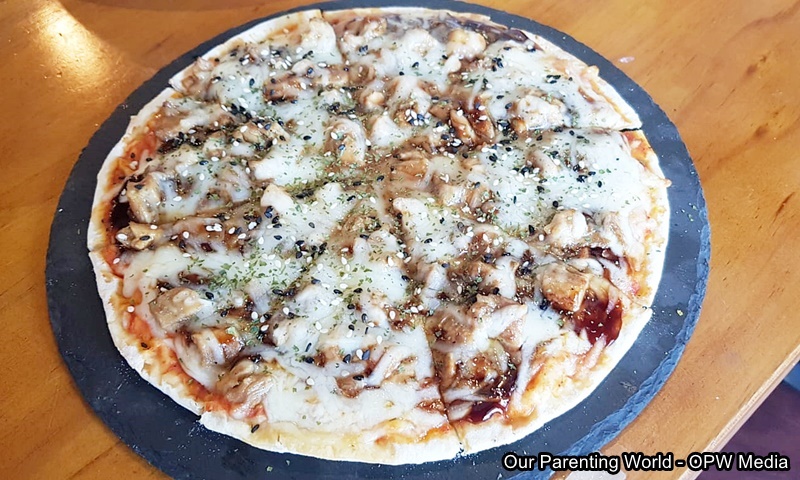 This pizza is filled with tender, juicy chicken on home-made pizza base, generously drizzled with teriyaki and tomato sauce. Both pizzas are great for sharing with your family and friends! Enjoy authentic pasta dishes by Chef Vincenzo using fresh pasta that are all lovingly made in-house and Chef also made the Italian pasta classics accordingly to his grandmother’s recipe such as the Gnocchi A La Vocka ($13.90), a rich pink sauce gnocchi and the homely Traditional Lasagna ($13.90). In addition, diners can look forward to savour in other delicious dishes like Chef Vincenzo’s signature dish, Truffle Ravioli Homemade Ravioli ($16.90), Beef Monacchia ($18.90), Premium Donburi ($18.90) and more! Aren’t these biscuits cups adorable? These cups are used to contain your drinks like coffee like Matcha Latte in Waffle Cup ($9) and Biscotti Cup (from $8.90). These are specially air-flown from Italy! There is also a new range of Aurora Drinks at Miryoku: Honey Yuzu, Lychee Soda and Strawberry Soda at $5.90 each. Get tipple-happy with the happy hour promotions such as Hoegaarden pints from $10, red and white wines, champagnes, sakes and more. Chill out over live band music every Friday and Saturday evening from 7pm – 11pm at Miryoku Bistro!